Inside: 20 of the best inspirational Christian songs to lift you up when you’re hurting. Playlist included. Sometimes songs can speak the words that you can’t. Sometimes you just need that perfect song to speak the words that you cannot. Whether you sing along or just let the words sit on your heart, you’ll find hope in these 20 songs. At the end of the post, there’s a playlist of all 20 inspirational Christian songs you can return to repeatedly and listen to them on loop. The perfect companion is inspirational affirmations straight from God’s word. Listening to worship songs and repeating His promises keep your mind focused on God’s good graces. “Thy Will” is anyone’s to sing about submitting to God’s will. The story behind it is the singer from Lady Antebellum and her miscarriage. Lauren lost her grandfather during the writing of this song. She connects Jeremiah 29:11-13 to the message of this song. The message of this song is God understands how we are inclined to fear and that it is the enemy’s main weapon against us. Just as God takes care of the birds (sparrows), he will take care of us. This song compares how we are like diamonds. Diamonds are refined by fire. God also uses pressure and trials to refine us. He is making us into diamonds. “Upward Falling” and seeing God when falling on your knees. It’s the complete opposite of today’s worldview of climbing to the top. Who among us doesn’t have chains that need breaking? At the beginning of the video, the artist explains the meaning of the song as he changed it when he had a series of events happen in his life. When it feels like the world is against you, this song is so comforting to remember you have an army of angels on your side. This song beckons those hurting and broken to come to Jesus whose arms are open wide. Love this one! I can feel my soul singing it! This is an upbeat song about the armor of God from Ephesians 6. This song is a reminder that God is worthy of praise even in those situations that you have prayed for a different ending. This song is about focusing on Jesus and shutting out the rest of the world. Perhaps even taking a fast from social media. The meaning of this song stems from the writer’s experiences with anxiety attacks. The Bible verse from Isaiah 41:10 impacted the song. Redeemed came from a place of the singer never feeling like he was good enough. For him it was weight, for you it may be something else, but it is always something for everyone. Knowing you always have a good father taking care of you that’s a better parent that you could ever imagine is the comforting message of this song. God will never leave your side! Yes, we need to be reminded. Make sure to listen to this one today! God calls us out into the water to test our faith. He is waiting for us there. 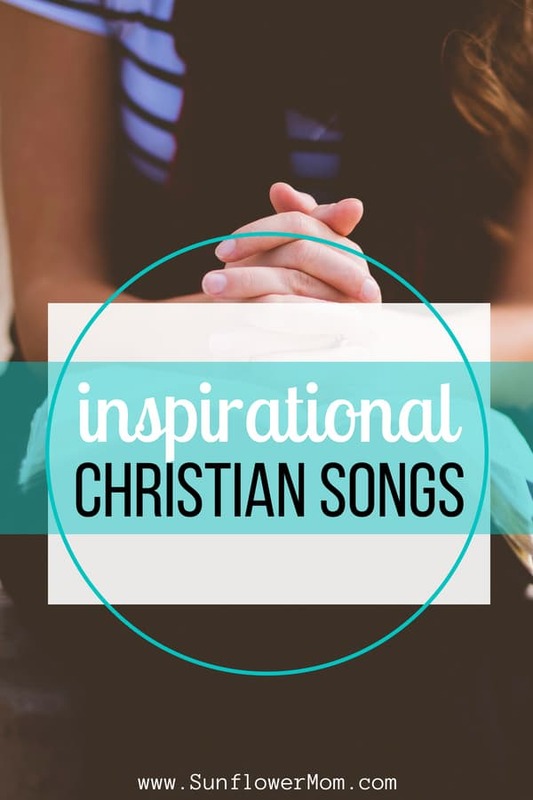 Listen to all 20 inspirational Christian songs continuously here on my playlist. My free gift to you! Do you crave for more? How about consistency and accountability? Join the 6-week prayer challenge! 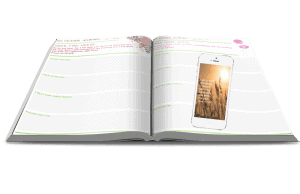 I will send you a prayer journal every week and a corresponding bible verse for your smartphone to use as a screensaver. A new journal and screensaver each week for 6 weeks. Then, I’ll send you a worship video mid-week to complement the Bible verse you are learning. 6 weeks to learn 6 bible verses and start a new habit of prayerful time with God. Are you in? Sign up for by clicking HERE! I’d love to have you! Great additions Kimberly! I love Fear is a Liar and Eye of Storm especially as well!